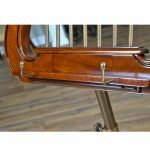 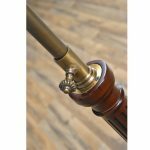 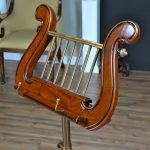 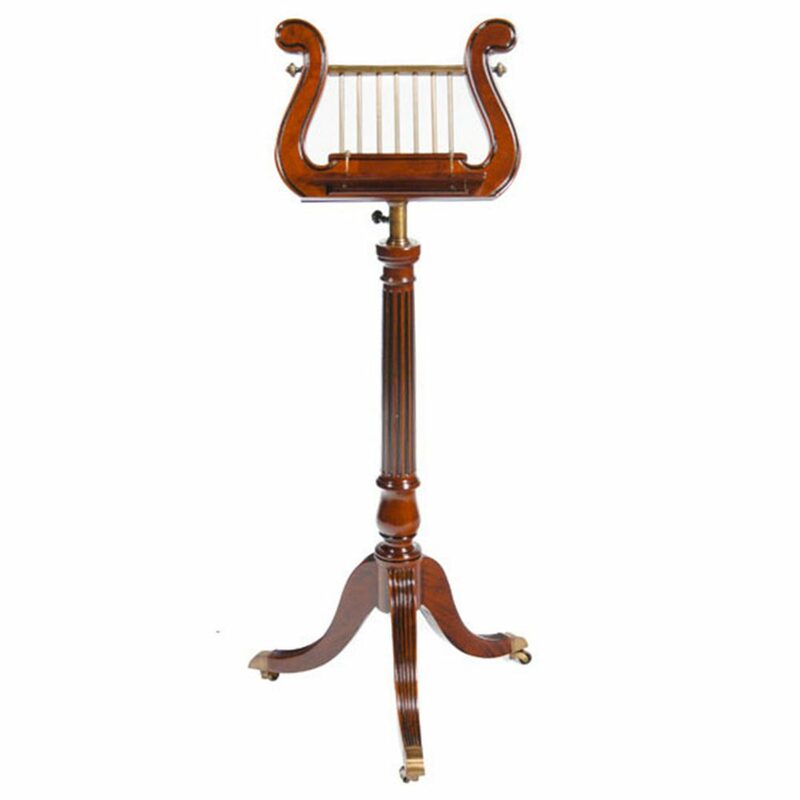 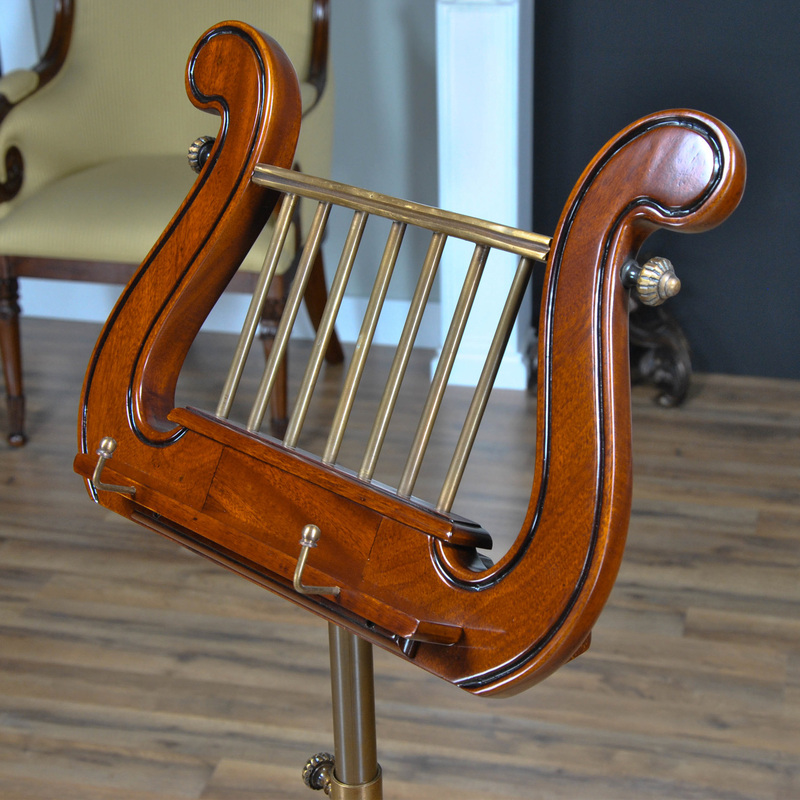 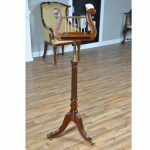 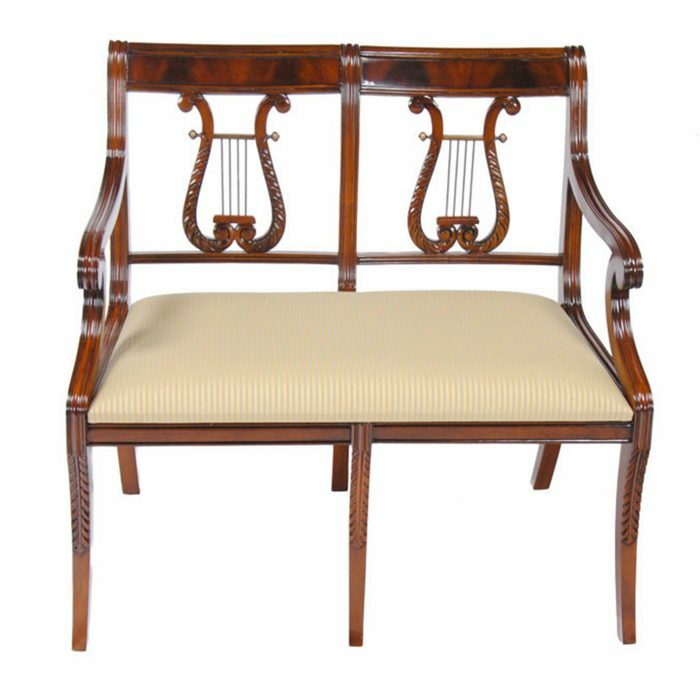 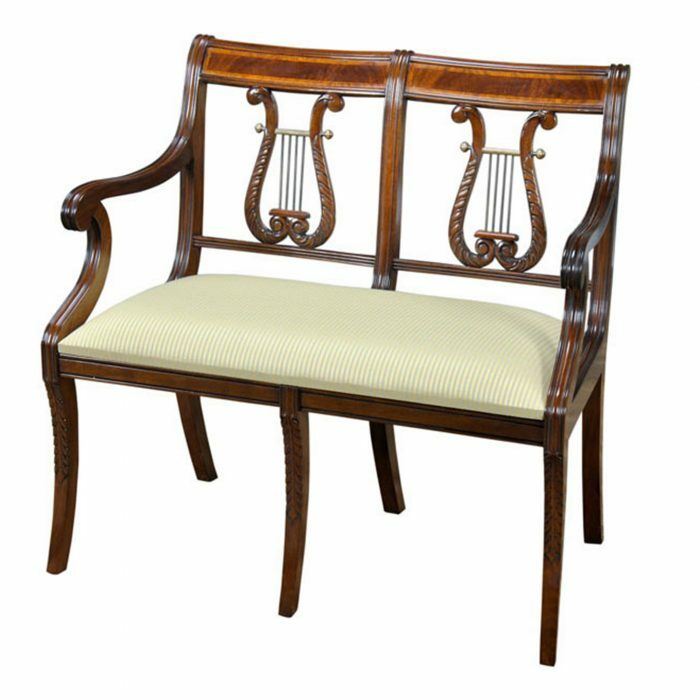 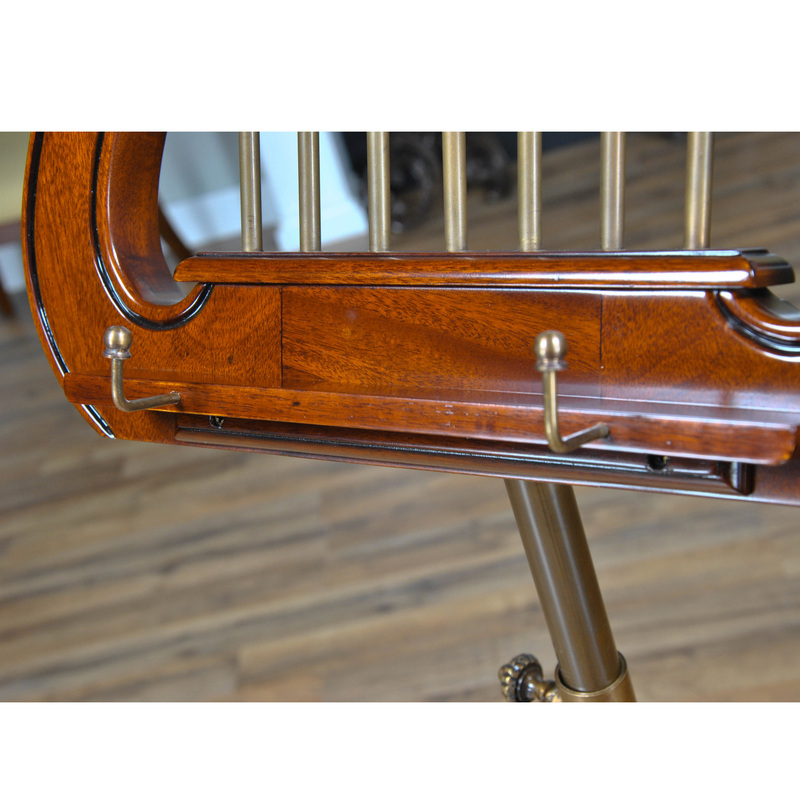 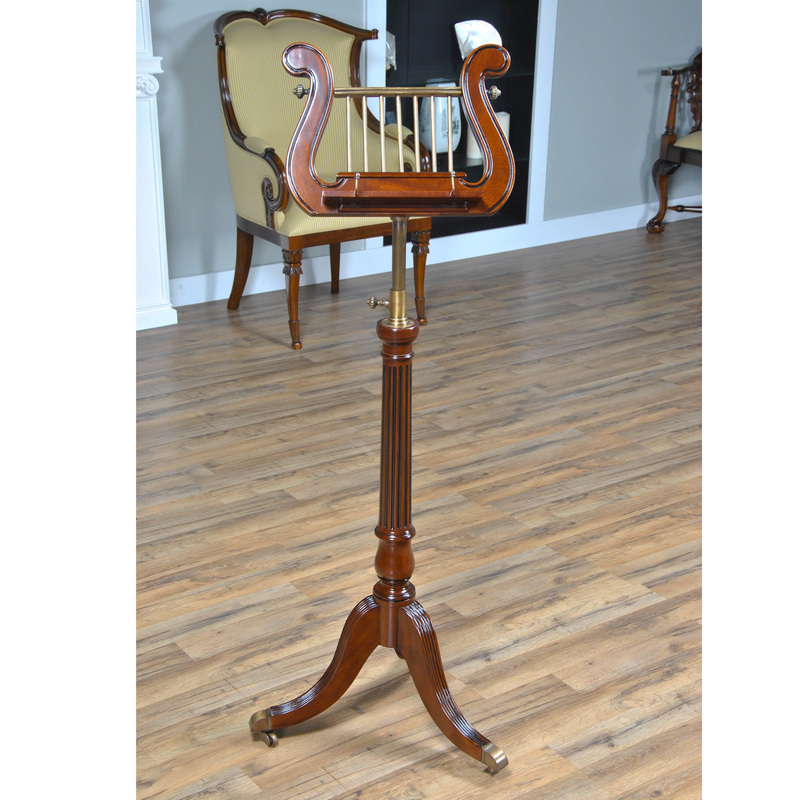 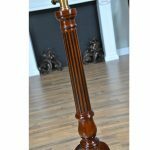 For the music lover this solid mahogany and brass Lyre or Harp Music Stand rivals any antique music stand in terms of beauty and quality. 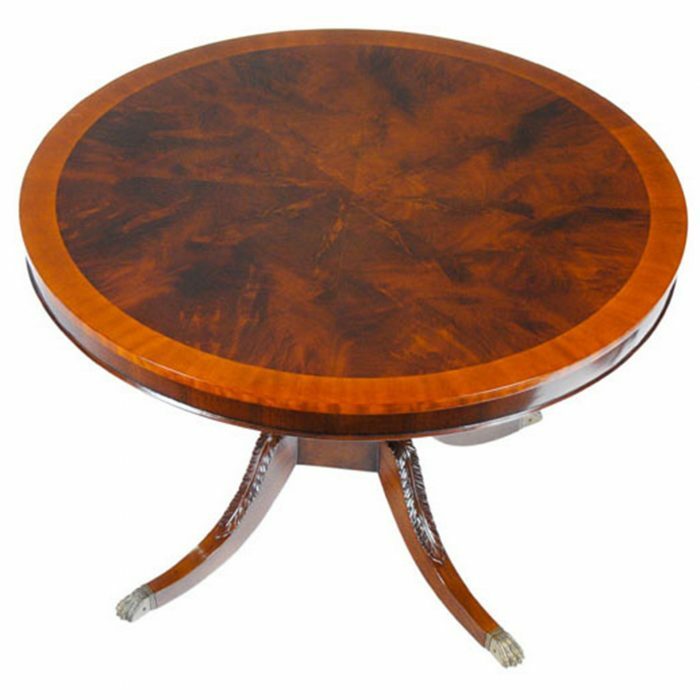 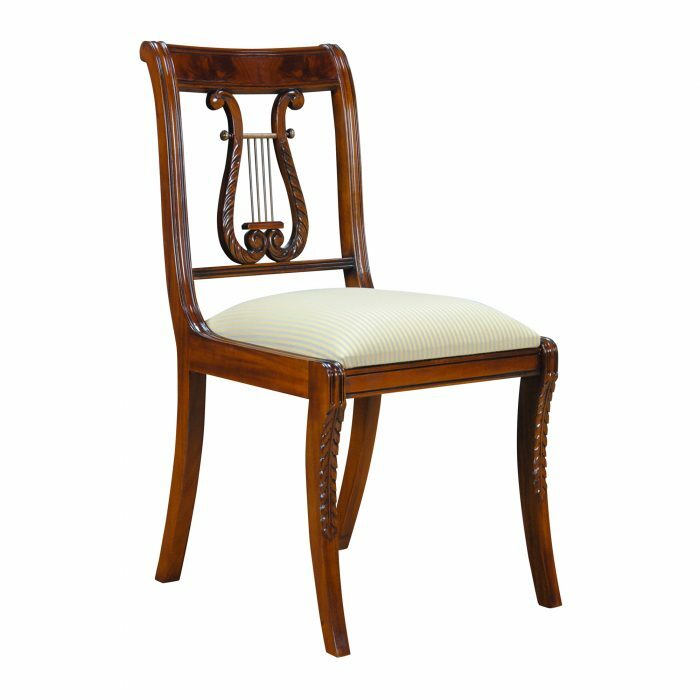 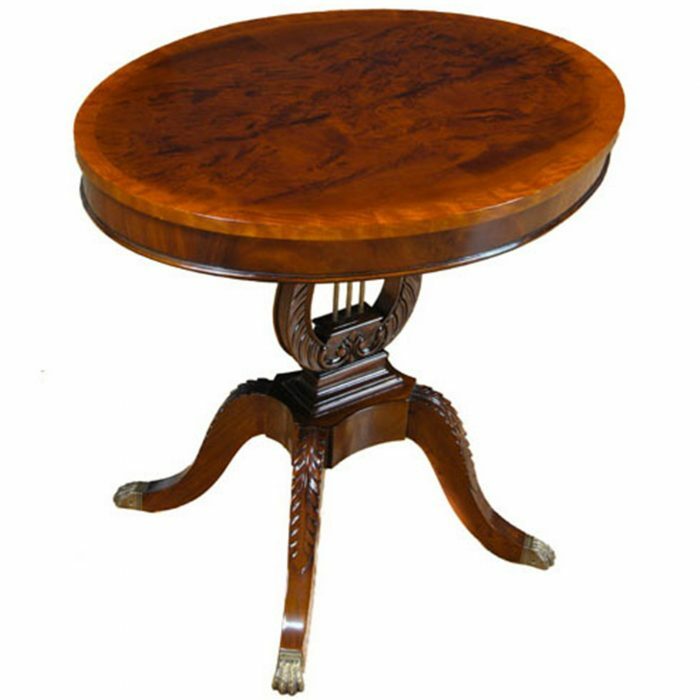 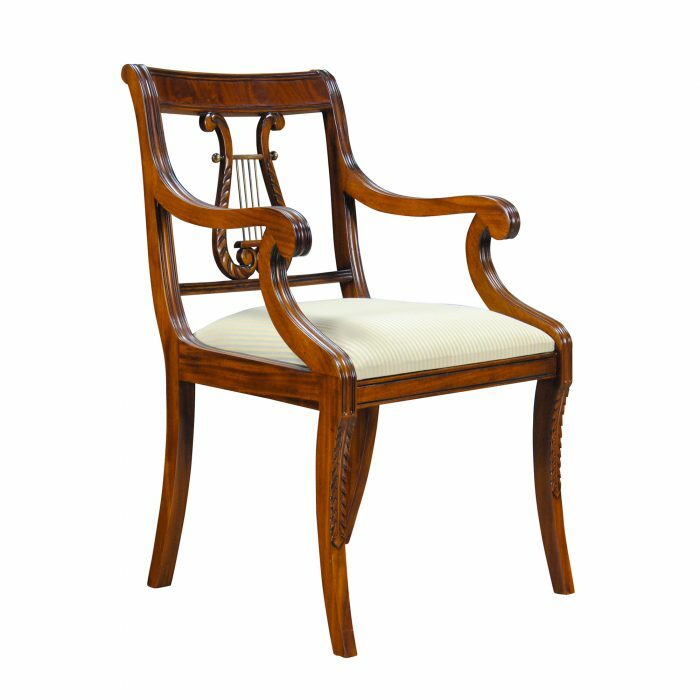 Adjustable in height, beautifully designed and tastefully finished it will be certain to be treasured for generations. 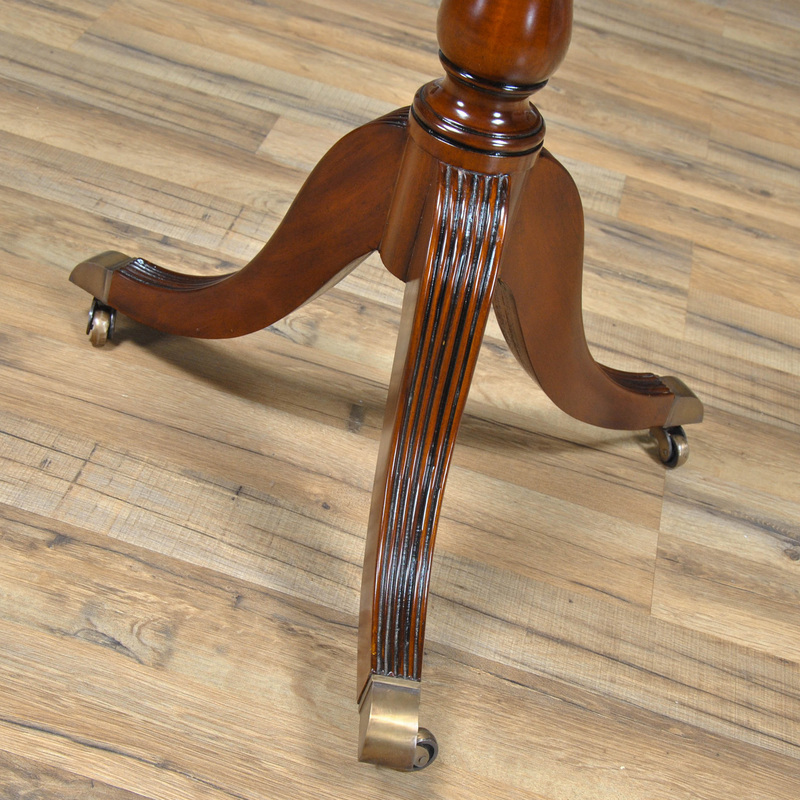 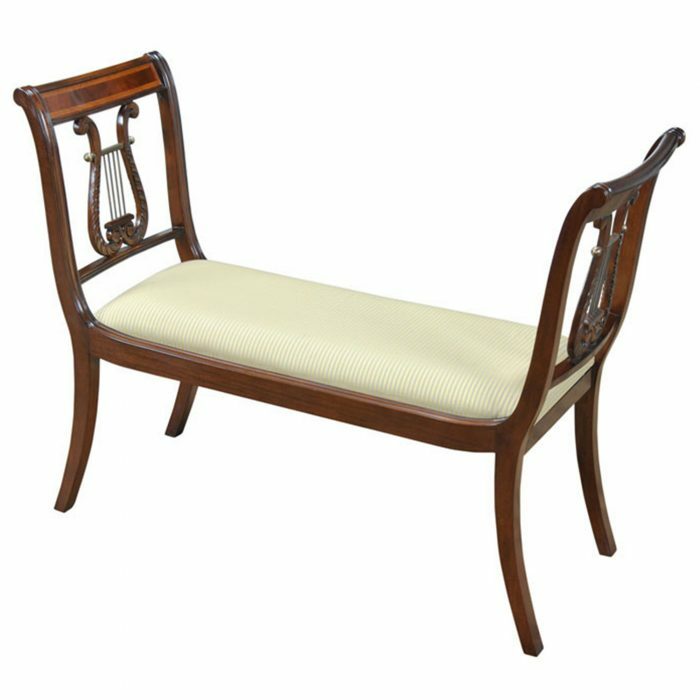 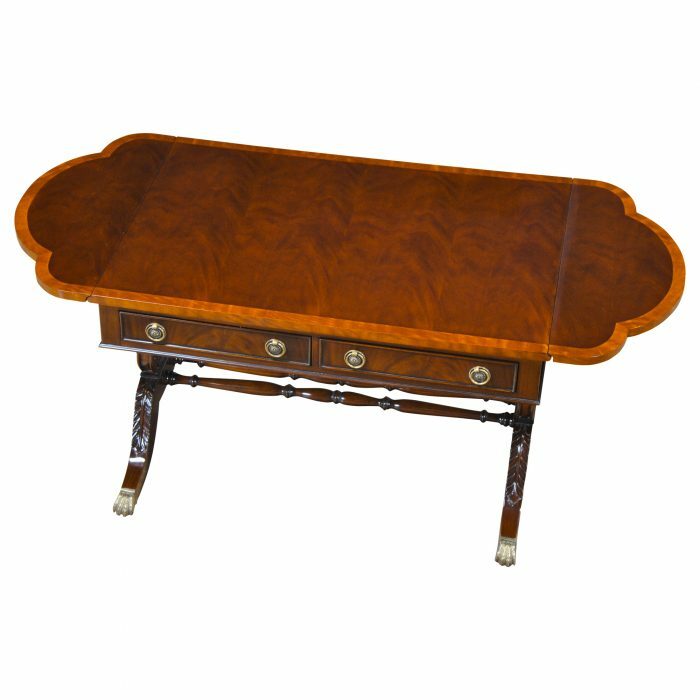 This item closely matches many other items in the Niagara Furniture collection.